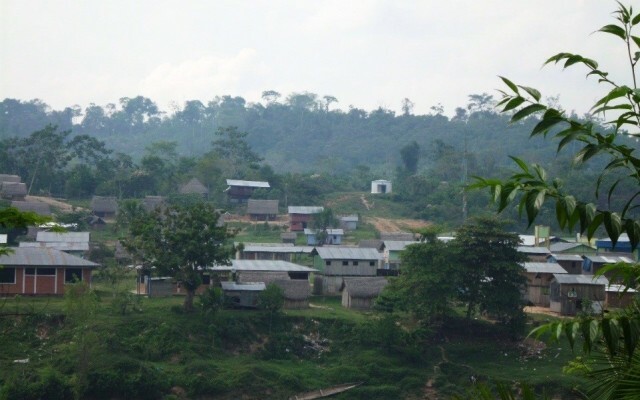 Settlement within Sinchi Roca indigenous community in Ucayali, Peru. IMSAO covers the tri-national frontier region of Madre de Dios and Ucayali (Peru), Acre (Brazil), and Pando (Bolivia).A broad range of development conditions can be found. Acre is situated further along the economic development x-axis (higher economic development) and further down the forest cover y-axis (smaller area of forest cover) of the forest transition curve than the other three locations. Pando, on the other hand, is placed highest on the downward slope of the curve, with the least economic development and most forest cover. Post-deforestation land-use trajectories also vary considerably, from degraded pasturelands, large areas of fallow and secondary forest, oil palm plantations, to relatively diverse cocoa agroforestry. The diversity in land-use corresponds to a range of natural ecosystems, from highly diverse broad-leaved forest, through grassland, shrubby riverine swamp, and bamboo-forest to species-poor but carbon-rich Aguajales (Mauritia flexuosa). On a regional scale, the landscape is strikingly segregated with most RS-based maps showing a clear agricultural frontier; yet at a finer scale the agricultural landscape is a mosaic. All of this variation is expected to generate differential delivery in the provision of ecosystem goods and services at the forest- and forest-agriculture interface, while in turn create tradeoffs in provision due to loss of taxonomic and functional diversity. Degraded lands across the proposed landscape offer considerable potential for enhancement of environmental services. Across the proposed landscape there are long-established, if long-distance, commercial connections to regional- and national capital cities and international markets. However, existing levels of local value-adding are generally low. In addition there are many local producers’ associations with widely varying degrees of cohesion and functionality, including Brazil nut producer associations and cooperatives, oil-palm cooperatives, and cacao cooperatives. Some of these cooperatives and associations operate under certification schemes and are linked to overseas companies. Timber harvesting takes place under both certified and non-certified operations, including the informal sector.<br/><br/>Road development has been a direct driver of land-use change and forest transitions, and is expected to remain so well into the future. Construction of the Interoceanic Highway, an extension of the Brazilian BR-317 into Peru and Bolivia, is changing conditions in this formerly remote region by linking the western Amazon and the Peruvian Andes and coast, including Pacific ports. Current plans to connect Ucayali with Acre present a unique opportunity to establish baseline conditions for long-term monitoring. 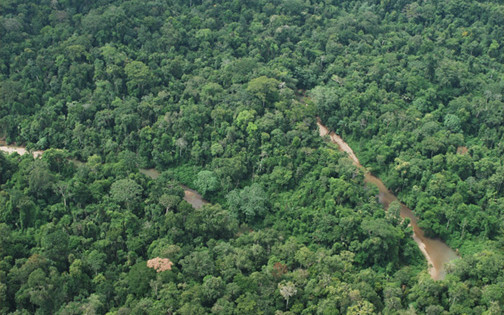 In Acre, forest conversion has been largely driven by establishment of cattle ranches and has occurred mainly within a 45 km corridor along the paved Interoceanic Highway. In Madre de Dios, the deforestation process has been slower and patchier than in Acre, and is dominated by small farms and unregulated mining, although recent paving of the Interoceanic Highway has concentrated land ownership and increased deforestation. 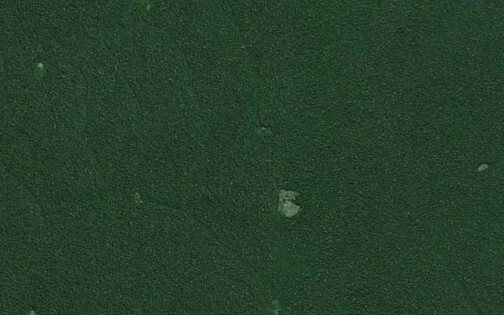 Deforestation in Ucayali ranks above Madre de Dios, among the highest in the Peruvian Amazon, but concentrated in the Aguaytía watershed, which is traversed by the Lima-Pucallpa road. In Pando and much of Madre de Dios, deforestation has been minimal, with most land conversion occurring in close proximity to population centers and along the Brazilian border. Land-use actors in the western Amazon landscape include cattle ranchers, colonist andribereño farmers, forest extractivists, indigenous groups, loggers and alluvial miners. Brazil nut and timber are the two most important regional commercial forest products in terms of economic value. In Acre, Madre de Dios, and Ucayali, colonist farmers are primarily engaged in small-scale agriculture, in the latter case including significant areas of cacao and oil palm introduced as “alternative crops” to illicit coca-leaf production. Cattle ranching is the most prevalent land-use in Acre, where the cattle economy has one of the highest growth rates in the Brazilian Amazon. Additionally, small-scale cattle raising has grown in the Chico Mendes Extractive Reserve, even among rubber tappers who once fought against cattle ranchers to maintain access to their forests. There are also extensive areas of pastureland in Ucayali, predominantly on smallholdings of 30-50 ha. A wide variety of institutions and governance mechanisms exist in the region from formalized government agencies, decentralized governmental bodies and community level organizations, all with variable levels of strength and effectiveness. The proposed landscape is home to a suite of formal governance institutions from protected areas overseen by government agencies in Acre and Pando to the NGO-run conservation concessions in Peru. Indigenous territories are managed under traditional communal systems, whereas resource-based associations help determine management dynamics for Brazil nut harvesters and rubber tappers. Throughout the region there are diverse tenure arrangements including different types of smallholder colonies, communal properties, forest concessions, indigenous reserves and protected areas. 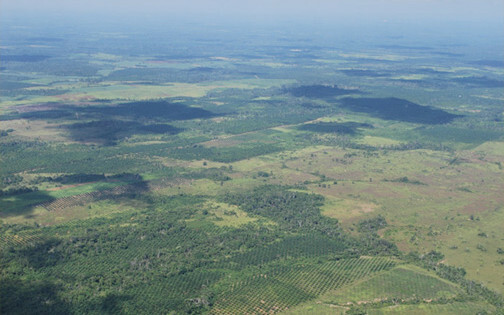 Generally communal properties build on pre-existing customary rights systems largely based on tree tenure, for example rights defined by the distribution of trails connecting natural rubber, or stands of Brazil nut trees. Across the proposed landscape, competing industrial interests (timber, mining oil) are granted concessions, which are frequently superimposed on rights granted to other community-level stakeholders. Legally, women are granted equal rights across the proposed landscape. In practice, however, land title and positions of power are held disproportionately by men, and female-headed households show higher poverty indices. Nevertheless, women play a key role in grassroots organizations and social movements, exemplified by Marina Silva (former Minister of the Environment and Senator for Brazil) who rose to prominence from the National Rubber Tappers’ Association in Acre. Gender dynamics are not consistent across the proposed landscape, with more active participation of women in decision-making on the Brazilian side of the border. Throughout the proposed landscape there is enormous ethnic diversity with indigenous people of various language groups and ethnicities, including some in voluntary isolation along the Peru-Brazil border. Riberiño/ribeirinho communities are of mixed ethnicity, often including people with varying degrees of indigenous/European/African ancestry. Smallholder farmers in Ucayali and Madre de Dios originate predominantly from the coastal and Andean zones whilst those in Acre originate from northeastern and southern Brazil. In Bolivia, much of the population originates from lowland areas in Santa Cruz and Beni, but migrants increasingly come from the highlands. It is possible that the widely drawn origins of the colonist farmers is one factor behind the lack of cohesion and trust shown within some smallholder organizations. There are important disparities on the human development index between rural areas and urban areas, and between men and women. There are multiple options for achieving optimized outcomes for livelihoods and environment across the landscape, as well as variable constraints and challenges to doing so. Within forest areas, there is high potential for multiple use forest management of Brazil nuts and timber to promote forest conservation and regional livelihoods. There are also multiple subnational Reducing Emissions from Deforestation and Forest Degradation (REDD+) projects in the region, which are highly diverse in terms of scale, project proponents, local actors involved and interventions underway. Outside the forest, there are multiple opportunities both to mitigate environmental impacts of current practices (silvopasture, improved fallows, improved pastureland) and to shift degraded landscapes towards the “upward” section of the transition curve. Each potential option is associated with economic, policy, institutional (including markets and market chains), social, and technical barriers. The search for optimized outcomes within the variety of local constraints offers rich learning possibilities and strong promise for transferability to other regions. CRP6 scientists have cultivated important partnerships in the region over the last 25 years. There is a strong network of partners from regional universities, national research institutes, non-governmental organizations and governmental agencies, as well as connections with other international partners working in the region, many built up or consolidated by the Amazon Initiative Consortium. 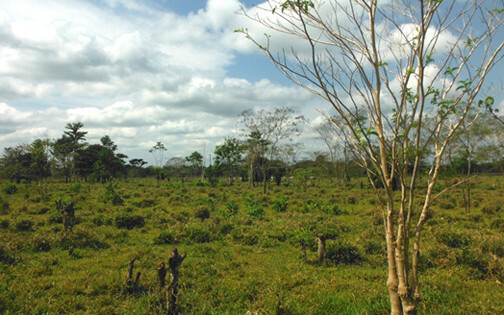 The Aguaytia watershed in Ucayali has functioned as an ASB benchmark site since the mid-1990s, and has been the focus of work by ASB partners in Peru. Forest within Sinchi Roca Indigenous community, legal timber production and illegal small-scale logging. Presence of coca fields, shifting cultivation and fallow based systems, cocoa production and extensive livestock at the margin. Intervened old growth forest, secondary forest, mining. Presence of degraded and improved agricultural & pastureland. Presence of agroforestry systems (castaña). Low deforestation level and high conservation value areas. Incorporation of a gender perspective into data collection tools. Establishment of a strong collaboration partnership with IIAP for data collection activities in the 2 sites located in Peru: Ucayali, and Madre de Dios. Establishment of a strong collaboration partnership with CESVI for data collection activities in the site located in Bolivia. Training of LDSF and Socio economic teams was conducted in August 2014 in Madre de Dios, Peru with strong support from Nicaragua-Honduras Sentinel Landscape team. Data collection has started in September 2014 and is currently being done in Peru.